Last night Brendan and I were lucky enough to see Naked On The Vague, Grass Widow and Wetdog at The Lexington, a gig arranged by the ever excellent Upset The Rhythm. A proper review and pics to follow shorty but we thought that Wetdog were good enough to deserve a post all of their own, we're nice like that. The London all girl trio seem to have already done their dues - they have an L.P out on Captured Tracks, Frauhaus, that dropped almost a year back, and have also toured with the likes of the Vivian Girls and Blank Dogs on the other side of the pond. With tracks like 'Tidy Up Your Bedroom' and past 7" Lower Leg there's certainly a playful, tongue-in-cheek side to Wetdog's angular, post punk sound. Yes think Delta 5 and the Slits - chants and foot stomping were all to be found aplenty at the Lexington last night. 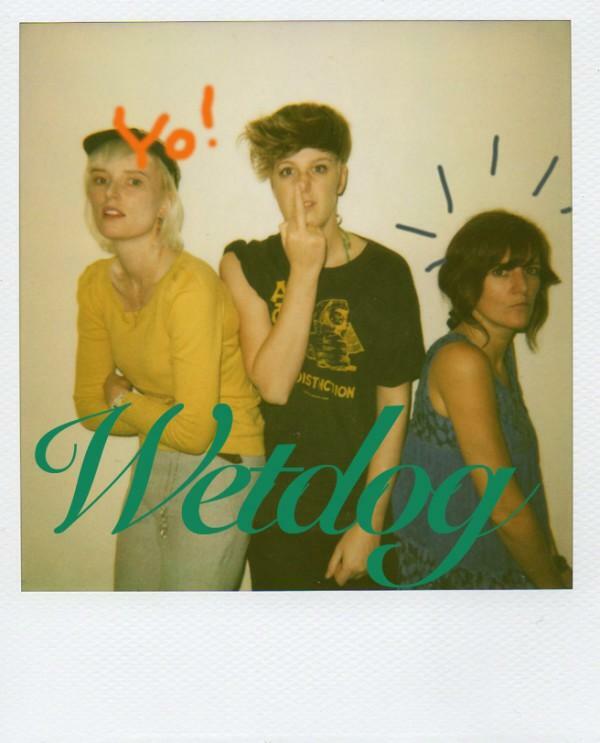 Playful yes, but Wetdog have a sour side, there's a touch of venom to these three ladies that makes you sit up and take notice. Bigger things must surely be overdue. Whether you wanna believe in it or not, earthling, only 2 eternities exist after death, Up or down. And how we sinfull mortals have lived determines where we'll be placed (besides Purgatory which all git out).